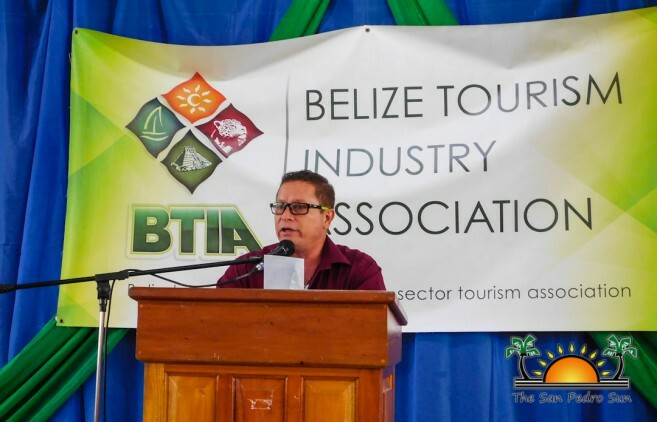 On Thursday, July 6th, the Belize Tourism Industry Association (BTIA) held its 32nd Bi-Annual General Meeting at the George Price Centre in Belmopan City. The event’s main objective was to update membership on the Association’s accomplishments over the past six months of the year. It also offered an opportunity for members to dialogue on current issues, and challenges,and to voice their concerns. 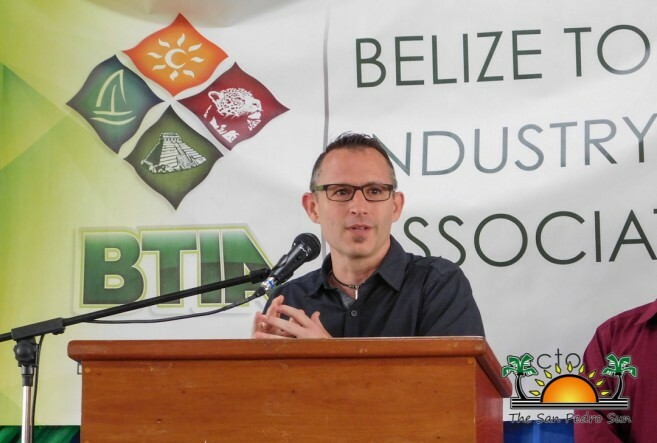 Master of Ceremonies Javier Gutierrez welcomed all BTIA members, industry partners and stakeholders from the public and private sector. After a devotional on tourism and an invocation by Pastor Lee Brockinton, Shanika Moir sang the National Anthem. On behalf of BTIA President Osmany Salas, 1st Vice-President Raineldo Guerrero, delivered the welcome address and gave a brief presentation on the ‘Strategic Plan 2017-2020’. “Through Salas’ tenure as BTIA President, he was able to accomplish the majority of goals during his first two-year presidency. We acknowledged the importance of setting goals, and we have established more goals to achieve in our strategic plan,” said Guerrero. 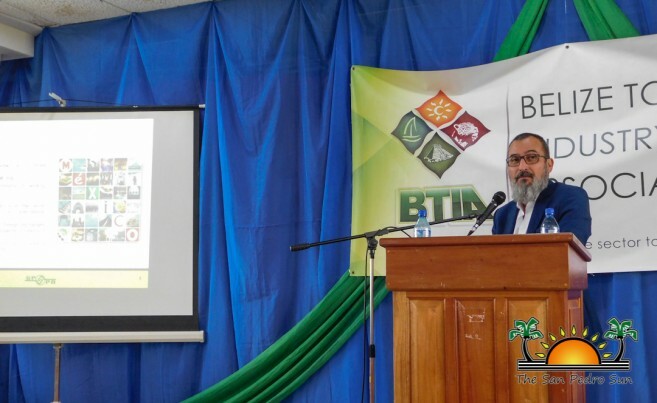 During the start of the year, Guerrero has hosted consultations with each BTIA chapter to help draft a five-year strategic plan. After analyzing feedback, he explained that the four new goals of the Strategic Plan 2017-2020 are: 1) to build BTIA into a highly respected and influential powerhouse organization; 2) strive to strengthen the BTIA Secretariat and Chapters; 3) be the respected voice of the nation’s tourism industry; and 4) increase availability of research, education, and marketing program for the tourism industry. Guest speaker of the event was Hector Alafita Vasquez, Operations Director for Gestion Politica y Planifacion Ambiental (GPPA) in Quintana Roo, Mexico. As a biologist, Vasquez has experience in many projects in mining, tourism, infrastructure, renewable energy, gas and oil, and restoration and conservation. His address focused on the importance of ‘Strategic Planning for Destination Success’ and presented one of Mexico’s successful projects: Mayakoba. Since Mexico is visited by over four million tourists a year, Vasquez stated that sustainability is the key to success in any destination. He said that Mexico has implemented the ‘Paris Accord’, which reduces emission, provides global balance and transparency, and reduces damage to the region. In his presentation, he also provided environmental and social solutions to obtain a sustainable future. “Any development must be environmentally and legal feasible (technical support, legal and scientific services). It should also have an environmental diagnosis, which will identify increasing good and services. Then you must have ecological zoning, where you decide where to build. Once you do an Environmental Impact Assessment, monitoring helps make sure the project is in compliance. Lastly, we all have a social and environmental responsibility to be a model and make the environment a better place,” said Vasquez. BTIA Executive Director, John Burgos, had positive news when he discussed the BTIA’s Mid-year Report. 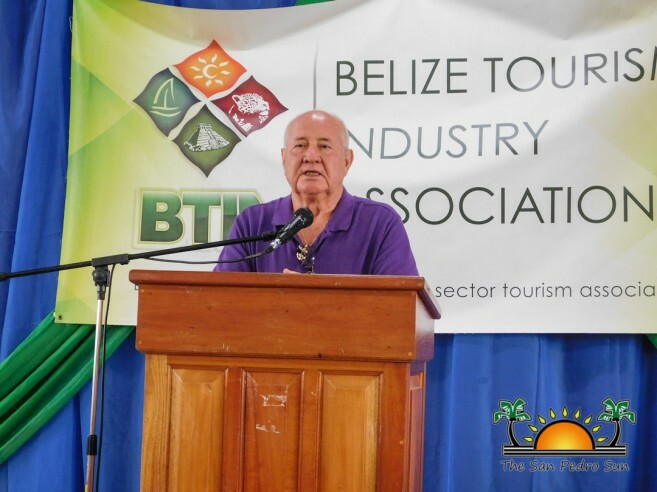 He gave an overview of all of BTIA’s accomplishments, and explained that BTIA has provided training services in Hospitality Management and Food Preparation, Introduction to Mixology, and a Tour Guide Training Program. 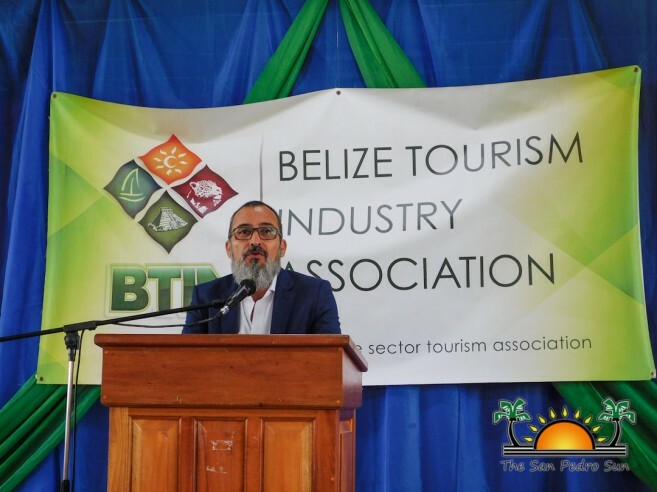 He also explained that BTIA has created multi-destination packages, will be working on the 2018-2019 edition of ‘Destination Belize’, and is currently working to launch their redesigned website. As far as advocacy efforts, BTIA was successful in reducing the number of Hotel and Tourist Accommodation Minimum Standards, and is currently trying to reduce the Minimum Standards of the Zip line/Canopy System. 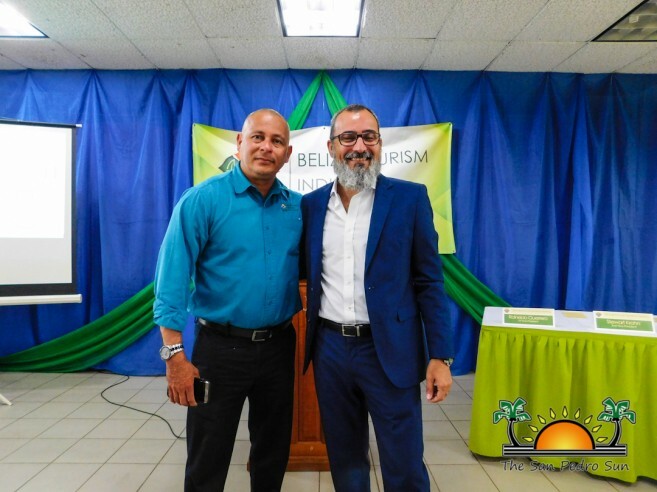 After two recently reported cases of police extortion, BTIA is also in the midst of addressing crime in Belize by working with the Minister of Police. They also will be meeting with Airbnb to discuss various concerns of the hotel industry, plan on banning glyphosate, preparing a position paper to prevent the Departure Tax increase, and is pushing to remove the tax on biodegradable products. 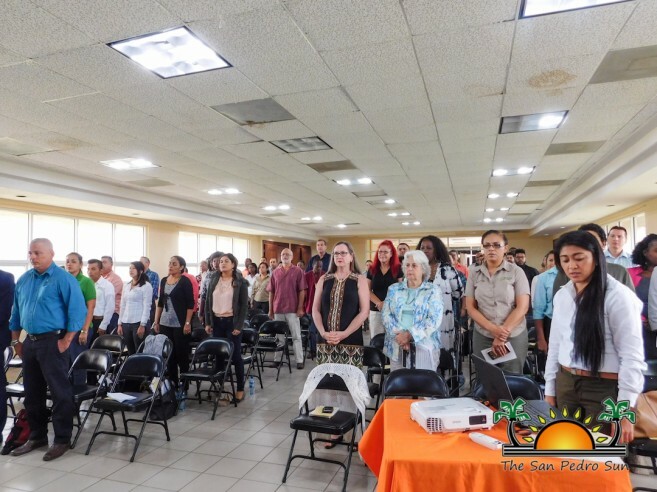 Chapter Representatives from Orange Walk, Belmopan, Placencia, Cayo, Dangriga, Toledo, and San Pedro presented their six month report, which included projects, events, and milestones that were achieved. Speaking on behalf of BTIA-San Pedro Branch Chairlady, Tamara Sniffin, Nick Scavone discussed progress made in San Pedro. 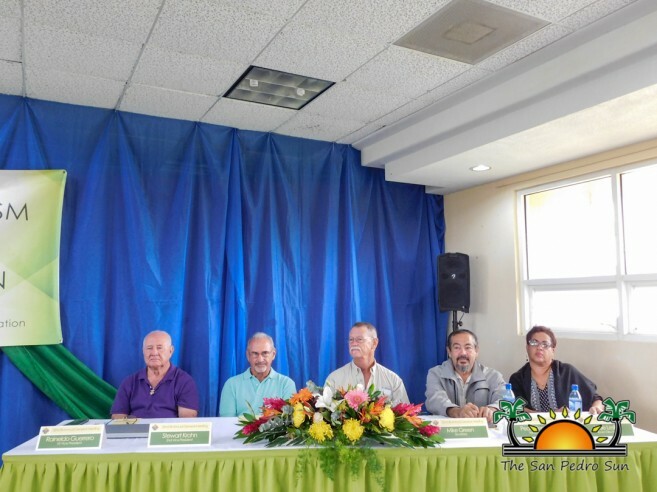 He stated that BTIA-San Pedro has voiced their concerns on the Cayo Rosario Project, is planning to organize a “Golf Cart Show”, plans on hosting a membership mixer, and will be working alongside with police to instill the safety of tourists and residents alike. 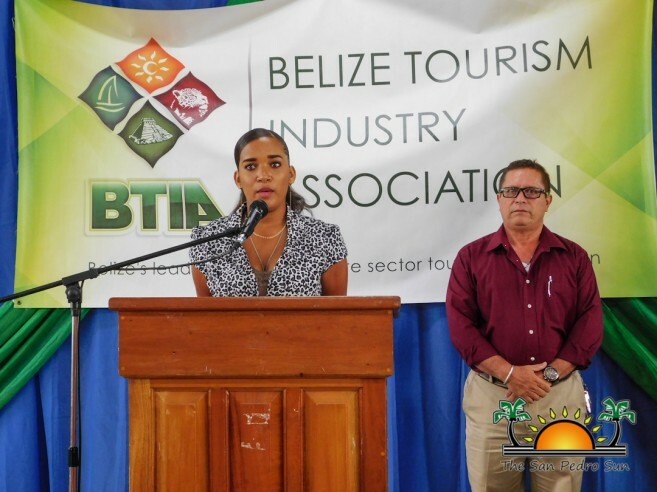 After Gale Malic-Ozaeta, Belize Tourism Expo (BETEX) Event and Marketing Manager, gave an overview of BETEX 2017, she presented several awards to BETEX sponsors and contributors. Rosella Zabaneh, BTIA Dangriga Chairlady, then delivered the Vote of Thanks. 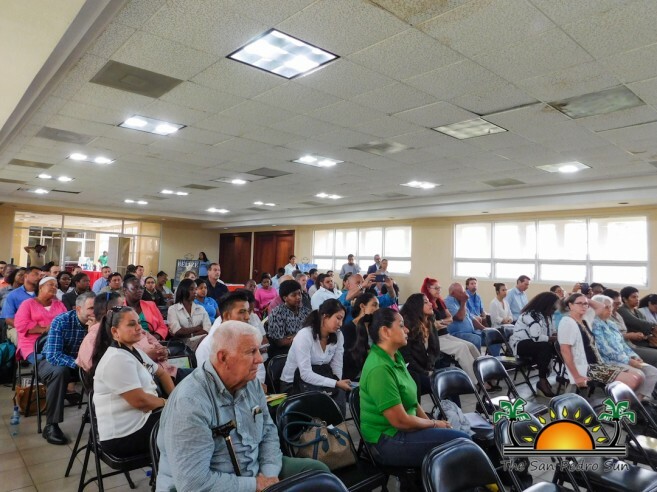 The afternoon session highlighted sustainable tourism, and revealed practices and initiatives tourism and business stakeholders can implement to protect the environment. Under the theme ‘Embracing Sustainable Tourism: Global Market Trends, Opportunities and Benefits”, Vasquez continued his morning presentation on sustainability. 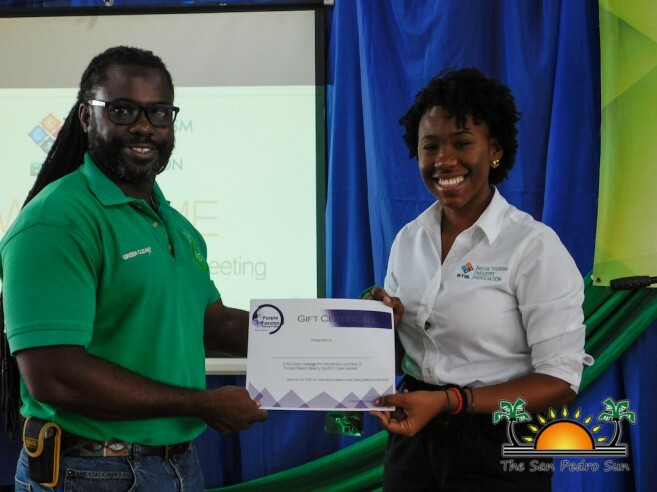 The second seminar was facilitated by Mike Green (Green Globe Belize Representative), who encouraged the audience to become a member of Green Globe. This program is the global certification for sustainable tourism, and membership is reserved for companies and organizations who are committed to making positive contributions to people and the planet. Sellem Chan of Hamanasi Adventure and Dive Resort shared successful stories of his business model. At Hamanasi, sustainability is achieved through being compliant with all environmental, health and safety regulations; educating guests and employers about conservation efforts; managing and monitoring consumption of natural resources; and their commitment to habitat protection. Brion Young and Denise Duran of The Lodge at Chaa Creek ended the seminar with a visual presentation on how the resort has transformed over the years. They also noted that in 2016, Chaa Creek won an award from The National Geographic for the world's best Eco Lodge. After highlighting the resort’s National History Centre and butterfly exhibit, both Young and Duran explained many of their community-based projects such as their school supply drive, and summer camps. The BTIA takes this opportunity to thank all stakeholders and members who attended the Bi-Annual General Meeting and seminar. Special thanks also goes out to those who assisted in making the event a success.